There are several reasons why you should buy a home and one of the leading reasons is low mortgage rates. 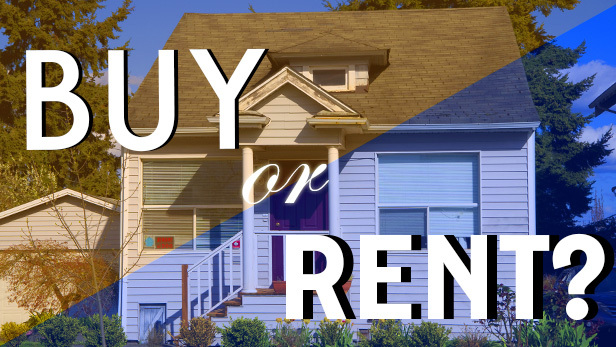 Interest rates often times keep ownership less expensive than renting. Since rates are still at an all time low you should really consider buying a home now. Even a small change in interest rates has a significant effect on what you'll pay each month and over the life of a 30-year mortgage. Take a $172,000 30-year mortgage. With an interest rate of 4%, you would pay $821.15 each month. At an interest rate of 5%, the monthly payment would be $923.33, and at 6%, the payment rises to $1031.23, so it makes good financial sense to purchase while rates are low. San Diego is known for its high rents and we have no rent control, at least not yet. In many markets, rents are rising to unsustainable levels, reports the National Association of Realtors (NAR). "In the past five years, a typical rent rose 15% while the income of renters grew by only 11%." The cities with the highest rent increase since 2009 include New York, San Jose, San Francisco, Denver, and Seattle. When you buy you know what your monthly mortgage payment will be and it will not go up, unless you have an adjustable mortgage. One of the best reasons to buy now is real estate is still one of the best investments out there. In fact, some would say it's the very best investment out there and the largest measurable financial benefit to homeownership is price appreciation. Price appreciation helps build home equity, which is the difference between the market price of the house and the remaining mortgage payments. Lastly, owning a home is still “The American Dream”. Pride of ownership is true. Very few things compare to the feeling of walking into a home that's yours for the first time, making it your own and not worrying about your rent being raised or if your landlord is going to sell and force you to move. When you pay rent you are lining the pocket of your landlord so why not line your own pocket and watch your equity grow over time.